Introducing Canary Flex | Canary Blog. At Canary, we believe that knowledge is power. The more you know about what’s going on in the most important places in your life, and the more you feel empowered to act, the more secure you’ll be. Today, we’re announcing the launch of the award-winning Canary Flex—our outdoor and indoor HD security camera that can be used wire-free or plugged in—in UK retail stores with our partners John Lewis, Maplin, Amazon, and Currys & PC World. Designed to be breathtakingly beautiful, inside and out, Canary Flex effortlessly adapts to any environment and is built to withstand the toughest elements. Canary Flex stands upright or mounts easily and inconspicuously on a wall, and its innovative 360° magnetic swivel base enables simple camera articulation and precise point-of-view positioning. Canary Flex is simply the most advanced and adaptable security solution ever designed, with elegant symmetry and powerful technology packed into one discreet device. 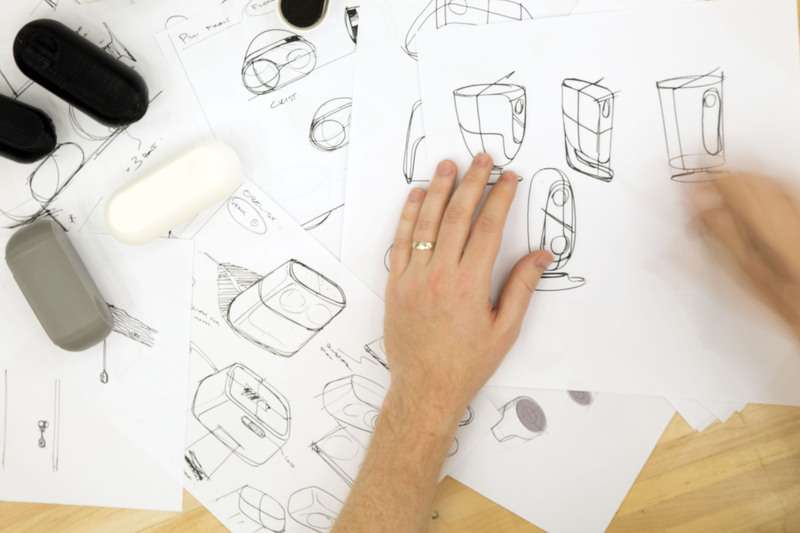 To ensure Canary Flex was both beautiful and infinitely useful, every conceivable facet of the product was considered throughout the development process—beginning with state-of-the-art industrial design. After considering a variety of form factors, we finally landed on a cylindrical shape, which is inherently more rugged and easier to seal—essential for a product that can live outside. Canary Flex is formed based on a monocoque structural design approach, meaning that the loads on the device are supported by the exterior, or skin of the product. The top half of Canary Flex’s enclosure is an extremely durable plastic housing that is resistant to weather, UV rays, and physical impact. The glossy plastic of the faceplate is IR-transparent, hiding the red lights of IR sensors when not in use, but allowing light to pass through when night vision is needed. With a hidden ring of LED light built into the front face, we’ve created new dynamic light animations to help the device communicate. The final part of the exterior enclosure, a steel cup at Canary Flex’s base, adds weight and sturdiness to the device. All three parts are tightly assembled to create a waterproof seal and a seamless form. Available in either White or Black, Canary Flex braves even the harshest elements and temperatures from -20 to 45°C with style. Even the power connector on Canary Flex was custom-designed to be weatherproof. We created a simple magnetic connection to create a hassle-free charging experience. Of course, you can always use Canary Flex wire-free too. The steel cup at the base of Canary Flex snaps effortlessly onto the 360° magnetic swivel base. Once in place, you can easily articulate Canary Flex to any angle, so it’s always looking exactly where you need it to. 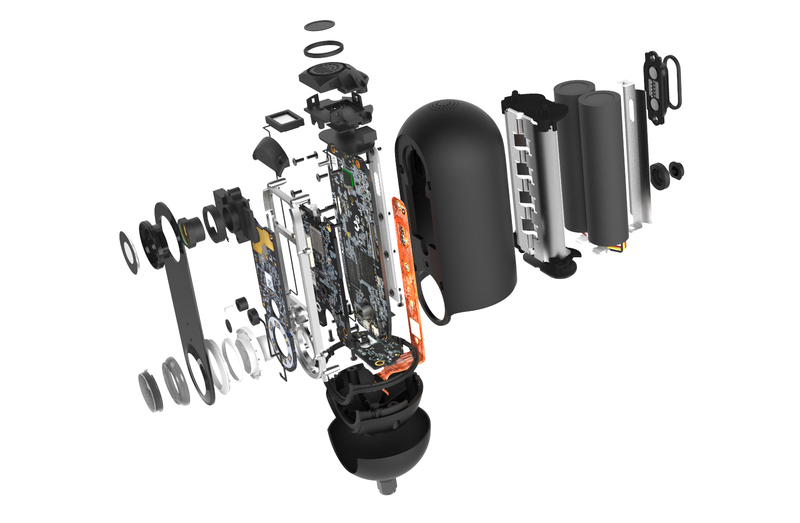 The 360° magnetic swivel base itself is uniquely adaptable. Designed to allow Canary Flex to either be mounted on a wall, or sit on any flat surface, Canary Flex is equally at home on your living room table as it is mounted by the front door or on your back patio. When you hold Canary Flex for the first time, you’ll be surprised by how substantive it feels, even at its modest size. The elegant, yet durable exterior masks complex and intelligent technology within. High-end components are packed tightly together and strengthened by a reinforced zinc frame, so Canary Flex functions as beautifully as it looks. Every cubic centimeter of space is carefully accounted for in this precisely engineered device. 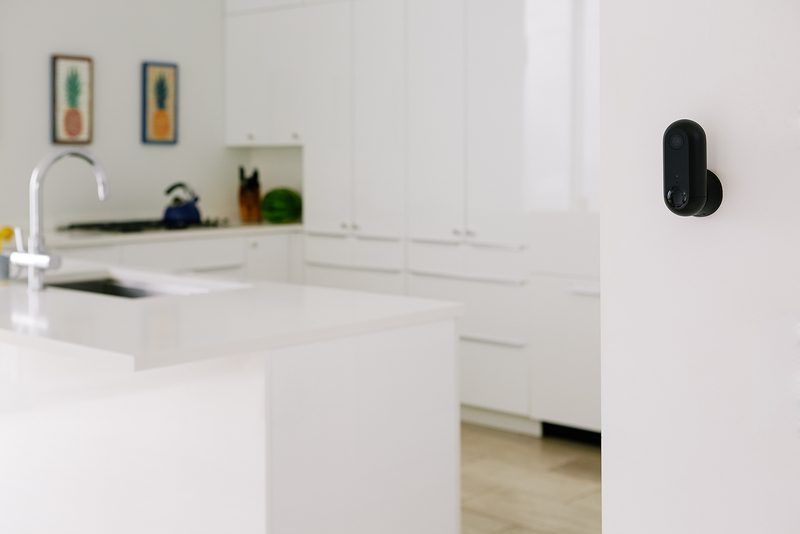 The two extended-life rechargeable lithium-ion batteries in the device are the most energy dense batteries available today, and allow Canary Flex to operate wire-free, letting you place it anywhere in or around your home where Wi-Fi is available. 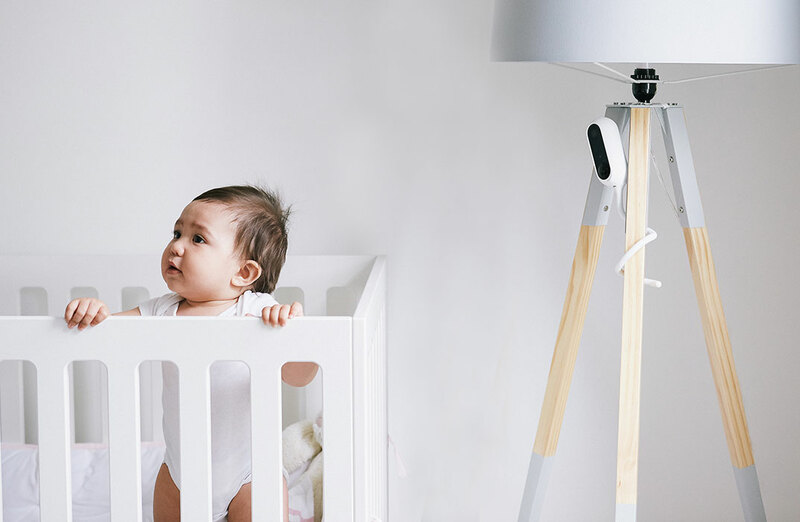 Canary Flex’s PIR motion detector is specifically designed to blend in with the front of the device and functions as a low energy motion detector, allowing Canary to monitor for activity when not plugged in. If the PIR sensor detects movement while running on battery power, video processors on the device run advanced computer vision algorithms to determine whether the activity should be uploaded to the cloud for further analysis. This step maximizes battery life while ensuring Canary Flex still sends you intelligent notifications about what’s happening. An onboard high-sensitivity microphone captures crisp audio, and combined with the high-efficiency speaker enables two-way talk, which will be added soon after launch. With a 116° wide-angle lens streaming crystal-clear HD video, picture quality on Canary Flex is outstanding. We haven’t even touched on the Wi-Fi and Bluetooth connectivity, dedicated encryption chip, accelerometer, and more that make up the rest of Canary Flex’s array of tech and sensors. There’s a lot of smarts in this little device. Alongside Canary Flex, we’re also introducing several accessories, coming to the UK this summer, which offer you endless possibilities to plant, twist, or mount the new Canary Flex. The Secure Mount for Canary Flex keeps your device locked-in on any surface, indoors or outdoors. It replaces the magnetic base with a rotating ball joint, letting you adjust the camera angle so you can always find the right view. 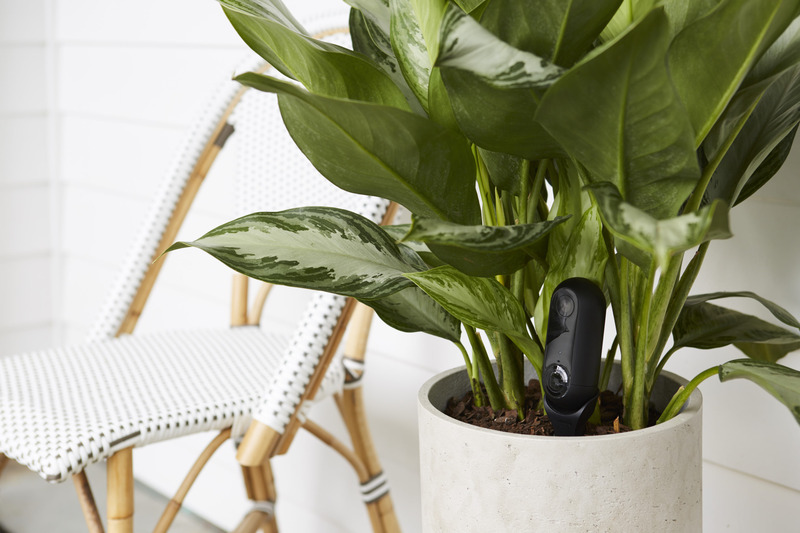 The Stake Mount lets you place Canary discreetly amongst plants and foliage. It blends in beautifully (just add a little water and moderate sun). Let your imagination run wild with the Twist Mount for Canary Flex. It bends, wraps, curls, or hangs to make any place the perfect place. Fixtures. Railings. Branches. Wherever you want to put it, the Twist Mount creates smart vantage points for your Canary Flex. Canary Flex works on its own, can be added to a location with your pre-existing Canary device or devices, and integrates seamlessly with the existing Canary app experience. Emergency numbers are still automatically pulled into the Canary app, letting you contact your local authorities at the touch of a button. 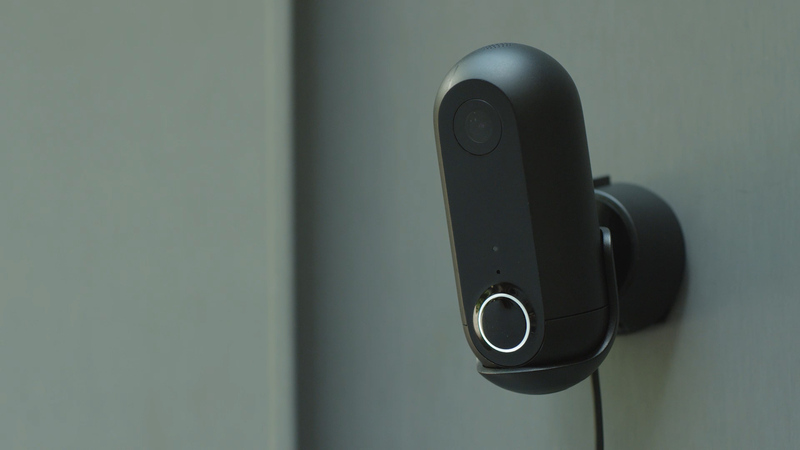 This feature has stopped or caught thousands of burglaries over the past year and a half since Canary’s release. As always with Canary, security of your data is paramount. AES 256-bit data encryption, encrypted cloud storage, and secure web transfer (SSl/TLS) are all built in. We even added a dedicated encryption chip to Canary Flex, so your video and personal data will be as secure as the money in your bank account. Ultimately, security isn’t just about preventing a burglar from breaking in. It’s about having information. It’s about knowing what’s going on at home. And it’s about staying connected to the people and places you love most. 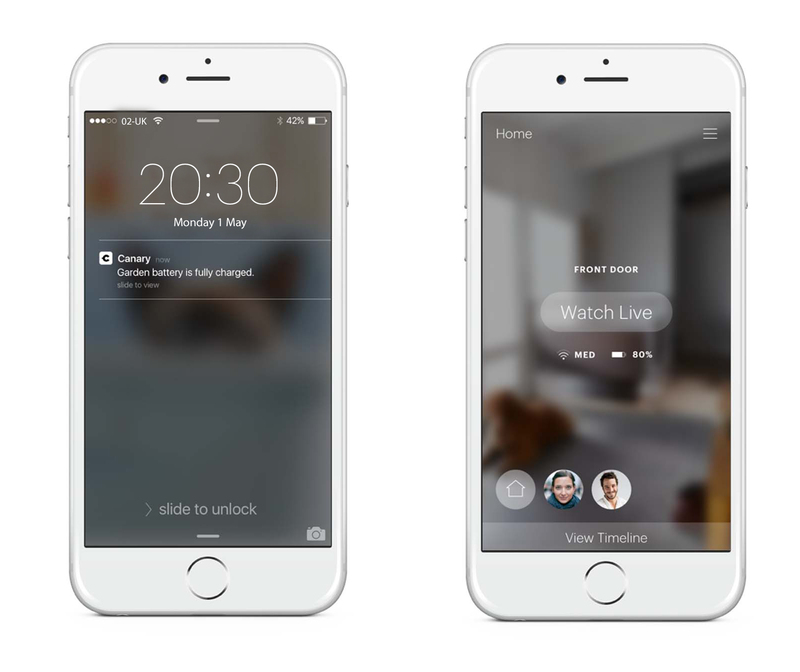 Canary helped solve for the inside of your home. Canary Flex takes security to places you never could have imagined. Customers are always at the heart of everything we do. We can’t thank you enough for all of your feedback. It helped inform Canary Flex, and it will continue to shape innovations to come. Canary Flex will change the way you see your world. We hope you’re as excited as we are to welcome it into your home.